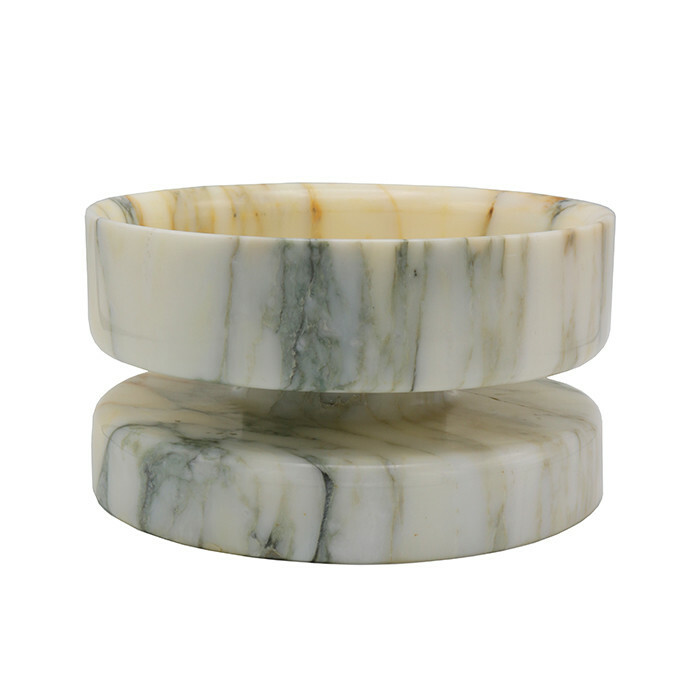 Marble Bowl by Angelo Mangiarotti for Knoll. Calacatta Blanche. Dimensions: H:5 Diameter: 9 Inches.